Climb with experienced mountain guides. Mountain Trip Alaska, LLC is an authorized concessionaire in Denali National Park and 2019 will mark the 45th consecutive year Mountain Trip has led guided Denali expeditions. No other guide service has helped more climbers climb Denali. We have learned a thing or two about taking care of our climbers over the years and this is reflected in our in our ability to attract and retain the most experienced Denali guides on the mountain, and in the extremely positive feedback we receive from our clients. Denali expeditions have been the centerpiece of our company since 1976, and our base of institutional knowledge and experience is unparalleled among Denali guides. We will never sacrifice our first two goals for the sake of the third; however, over 70% of the 234 West Buttress expeditions we have launched in the last 15 years reached the summit. Certainly, we have benefited from good weather, but our success is also based in the experience levels of our Denali guides. Our guidelines for who we allow to lead our expeditions are more stringent than any other Denali guide service, as we require our lead Denali guides to have a minimum of five Denali expeditions under their boots before they can lead an expedition for Mountain Trip. We have an almost 100% guide return rate from year to year and have guides with 10 or more years of Denali experience leading our Denali climbs. We love what we do and it shows. Our success is also based in team work and clear communication among our team members. We do our best to help prospective Denali climbers understand what our expectations are of them and help them manage their expectations of us. To some extent this is summarized in a document we call Expectation Management on Denali. Anyone considering climbing Denali or other traverse climbs with us or any guide service should read that document. 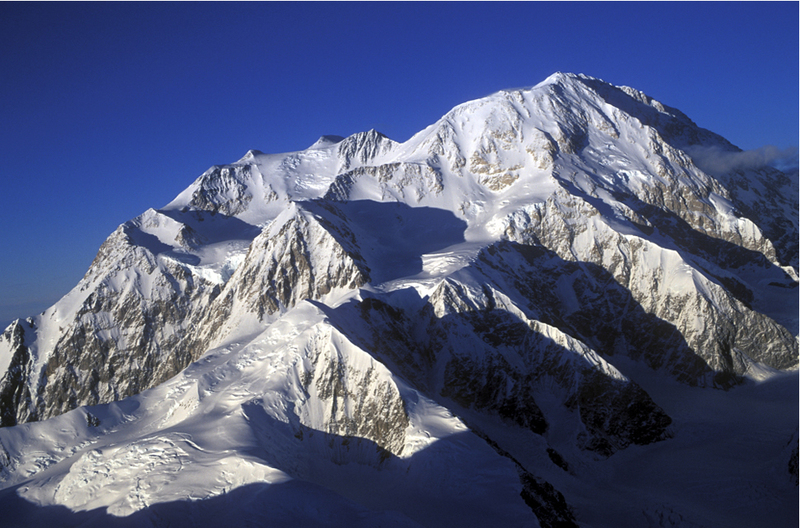 To climb Denali is stressful, and our goal is to help you minimize as much stress as possible. We provide personal service and attention from the first time you contact us through the months of preparation before your Denali climb, and we provide the highest quality services during your traverse climb. 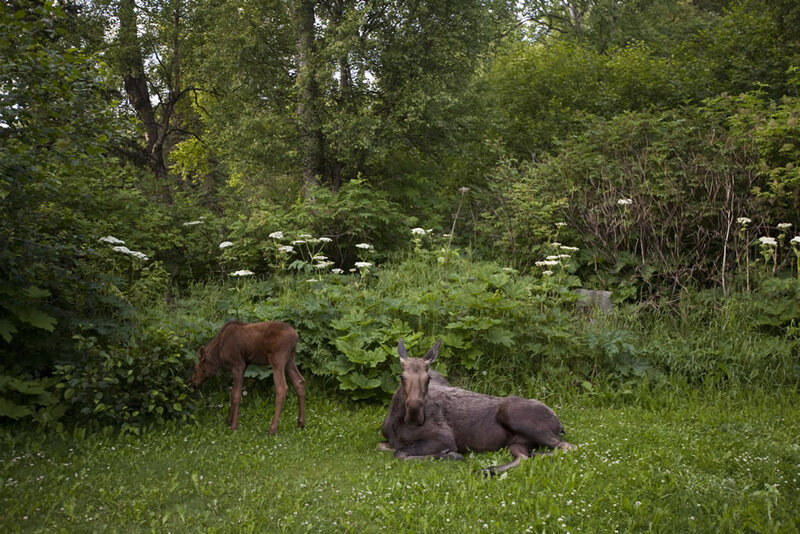 Our office staff are Denali veterans who are easy to talk to about all things big and cold. We tend to develop lasting relationships with our climbers – it’s one of the joys of this profession and it contributes to our success. Our success is also based in team work and clear communication amongst our team members. We do our best to help prospective Denali climbers understand what our expectations are of them and help them manage their expectations of us. To some extent this is summarized in a document we call Expectation Management on Denali. Anyone considering climbing Denali or other traverse climbs with us or any guide service should read that document. 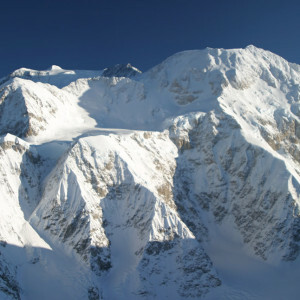 The classic route to climb Denali is the West Buttress. This iconic mountaineering route is a modestly technical, but physically and mentally challenging endeavor. 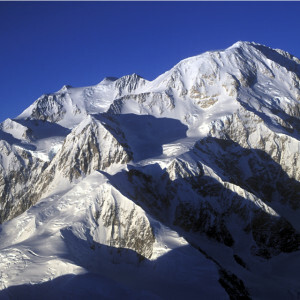 Many Denali climbers find this to be the most challenging climb they have done in the mountains during their career in the mountains. Even Everest guides often feel that a West Buttress climb can be tougher than an ascent of Mount Everest. It’s a shorter endeavor, but the work required is greater. We have offered Traverse climbs for decades, an expedition that ascends the West Buttress and descends to the north via the Muldrow Glacier route. These expeditions are endurance events, and last several days or more longer than a “typical” West Buttress ascent. The descent out to the north is serious and challenging, with steeper terrain than anything encountered on the West Buttress. The Harper and Muldrow Glaciers are much more crevassed than anything on the West Buttress, and present route finding and glacier travel challenges. Recently, the conditions of the descent to the north have gotten more challenging and technically more difficult, so we have held off on offering that option for the past two years for our adventure travelers. Mountain Trip offers primarily teams with 6 climbers and 3 guides, a 2:1 ratio. This model of smaller teams and lower climber to guide ratio is simply a better experience overall and gives the team a lot of flexibility and options to deal with any issues, such as a climber not being able to continue. Our climbers consistently comment that after doing the 2:1 small trip, they would never choose a larger 3:1 ratio trip. The 2 climber: 1 guide ratio expeditions cost a bit more, but we feel that the increased security and number of options available with a 2:1 climber to guide ratio will prove to provide real, tangible benefits to our climbers. We feel strongly that having 3 guides on a team is very important to the security and success of a West Buttress team. There have been two basic models that fit how the NPS allowed mountain guiding concessions to lead teams on the West Buttress. Historically, teams consisted of 9 climbers and 3 guides and in recent years, some guide services have begun offering smaller teams of 6 climbers and 2 guides. The NPS does not allow concessionaires to leave clients unattended on the mountain, and we have seen many, many teams with only 2 guides lose a guide when a climber becomes ill or is otherwise unable to continue on the trip. This results in the the team having to attempt the summit with a ratio of 1 guide to 4 or 5 climbers, something we don’t feel is ideal. Having 3 guides enables us to both attend to all of our climbers and adequately staff our summit teams. What level of mountaineering proficiency should I have before making the trip? The West Buttress didn’t look overly technical. You’re right, the West Buttress isn’t too technical, but it does have a few steep and exposed sections that require fixed ropes or running belays. If you haven’t done a lot of climbing, we highly recommend taking a basic mountaineering course that will teach you crampon and ice axe technique, winter camping, glacier travel and basic rope skills. 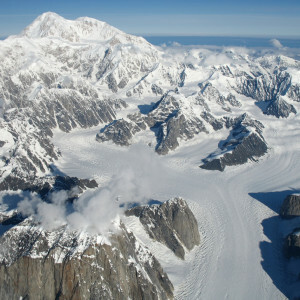 We encourage you to read our “Preparation and Training for Denali and Big Cold Mountains” article. Climbers need to be comfortable employing the skills listed above, whether you learn them through a course or through spending time in the mountains and mentorship. Fitness is also very important, not only because of the overall work load, but because being stronger helps you maintain control through the more exposed bits. The more prepared you are when you begin an expedition, the higher quality your experience will be. What level of fitness is needed to climb Denali? There’s no getting around it, climbing Denali is hard work. The first day on the trail, you’ll have 100+ pounds of kit in your pack and sled, after that, you will be carrying a 40-60+ lb backpack and pulling a 30-50 lb sled on the lower glacier for up to four or more hours a day. Higher up you will need to be able to negotiate fairly steep terrain with a 50+ lb pack. A good combination of aerobic and strength training is needed to prepare for an expedition. Summit day can be long and though our packs are fairly light, people often call it the toughest day of their lives. 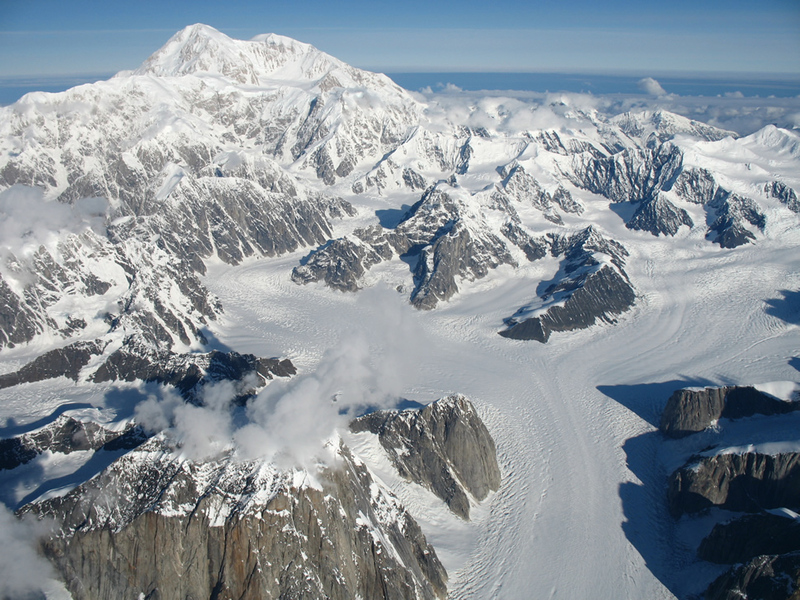 Look over our suggestions for how to prepare for a Denali expedition. Even if you are in good shape to begin with, embark on a training regimen and follow it! How much time do I need to plan on for a Denali expedition? We pack food to spend up to 22 days on the mountain. 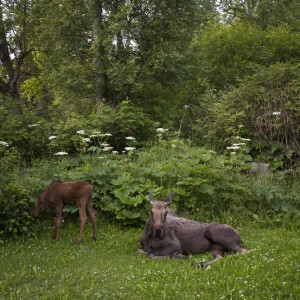 With a day on either end for travel between Anchorage and Talkeetna, you need to plan on 24 days in Alaska. Most trips run 16-18 days, but you must plan your itinerary around the longest scenario. What is the food like on an expedition? Mountain Trip is known for having outstanding food quality and selection on our expeditions. Our guides pride themselves on their mountain culinary skills. Menus can be tailored for those with discriminating palettes, but may contain such entrees as pad thai, chicken burgers with blue cheese and burrito night for dinner and french toast, omelets with bacon and chilaquiles for breakfast. Lunches are a combination of snacks on the run and more structured, sit down affairs, with french dip sandwiches, pizza or quesadillas. Unlike some guide services, Mountain Trip provides all your food on our Denali expeditions, including all your lunches. If you have some favorite “comfort foods,” such as a particular energy bar or grandma’s secret recipe cookies, please feel free to bring them along. Do I really need all those clothes on the equipment list? I can’t imagine wearing all those layers! Trust us on this one. Though you may get a nice, balmy summit day, there is an equal chance that you will set off from high camp wearing every stitch of clothes on that list. Please bring all that is required and call or email us with any questions regarding layering systems. Your guides will check your clothing and equipment at our pre-trip meeting, you will not be allowed to go on the mountain without the required gear and clothing on the gear list. Everything needs to be in good condition, Denali is not the place to skimp on gear and clothing! What gear is provided by Mountain Trip? 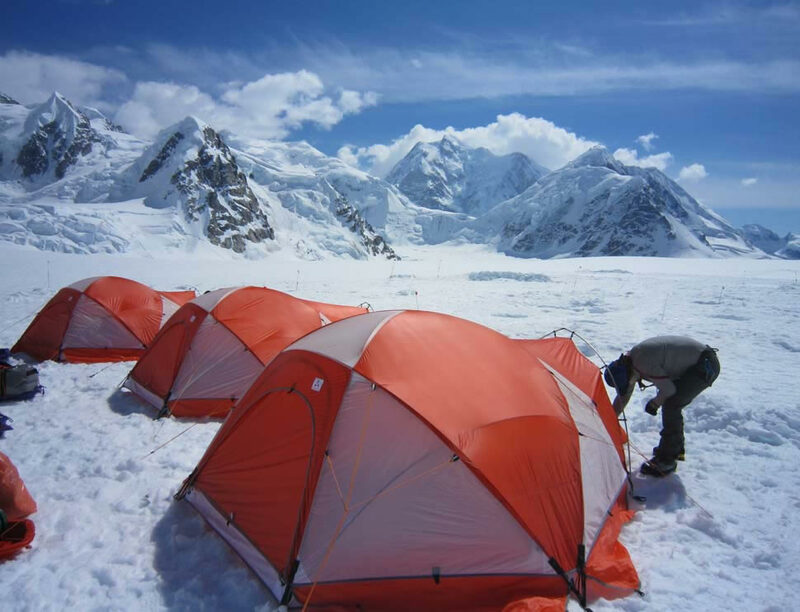 We will provide all the group gear, such as tents, stoves, ropes, snow pickets and sleds. See our equipment list for gear you will need to provide. We have certain items available for rental and these are noted on the equipment list. What about skis vs. snowshoes for the lower glacier? Most of our West Buttress expeditions carry snowshoes for use when there is deep fresh snow or for when the glacier is melting out and the trail is sloppy. Snowshoes are convenient in that they are light and easy to use. For experienced skiers we might be able to offer certain departure dates for Denali ski expeditions. We caution anyone considering the ski option to be realistic about his or her abilities. Skiing with a full pack and a sled requires a different set of skills than shredding down the black diamond mogul run at your local resort. 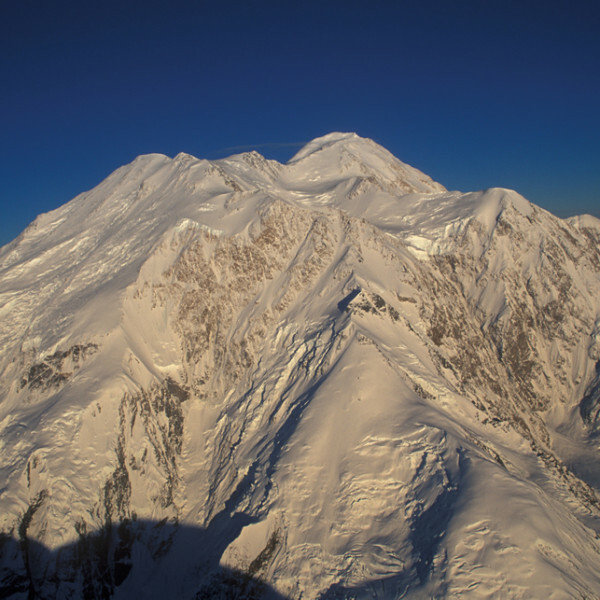 We are no longer able to offer the opportunity to ski unroped on Denali, as in 2013, the National Park Service decided that such an activity is not appropriate on Denali. I’ve never been to high altitudes before; is this reason for concern? It helps to know what it feels like to be at altitude, but it is not necessary to have been up high before attempting Denali. All of our expeditions follow carefully planned out acclimatization schedules. 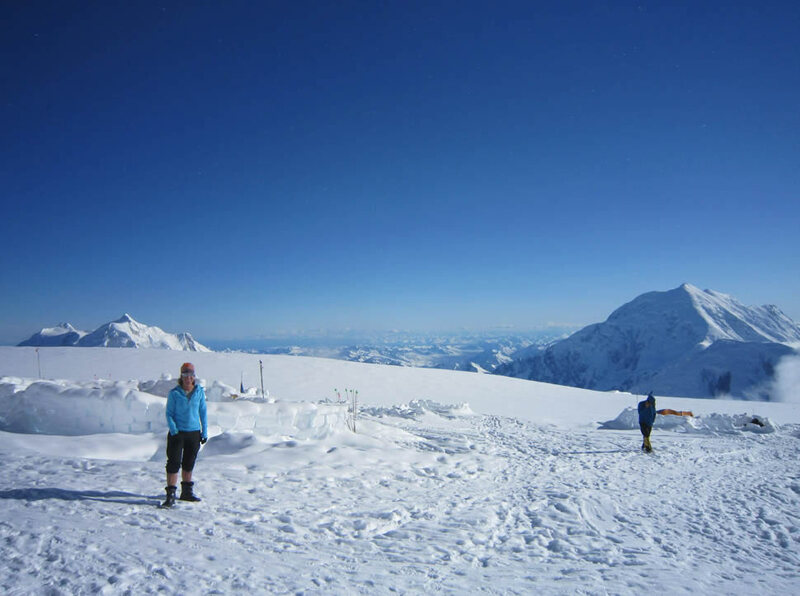 The vast majority of people climbing Denali with us do not experience high altitude illnesses due to our conservative rate of ascent and the attention our guides give to each Denali climber regarding their levels of hydration, eating and work loads. The reality is that altitude illnesses are highly subjective and can present themselves in anyone regardless of the number of times you have been at altitude. We can minimize your chances of getting sick by following a safe rate of ascent, but cannot guarantee that no one will suffer ill effects from altitude. Does the trip cost include the Air Taxi? Our expedition fee includes all regular, scheduled transportation from Anchorage to the glacier and back to Anchorage, including your scheduled round trip shuttle to and from Talkeetna and your Air Taxi flight to and from the glacier. We’re proud to be flying primarily with Talkeetna Air Taxi. What is the Mountaineering Special Use Fee? The National Park Service has charged a Mountaineering Special Use fee to climbers since 1996. It has gone up over the years and was most recently increased to $370 for climbers over age 24 and $270 for climbers 24 or younger. This fee is due in full at the time of registering with the NPS and is non-refundable after January 15th of the year you are registering to climb.There is also a $15 Denali National Park entrance fee that is payable in Talkeetna. Holders of an Inter Agency Pass do not have to pay this fee. 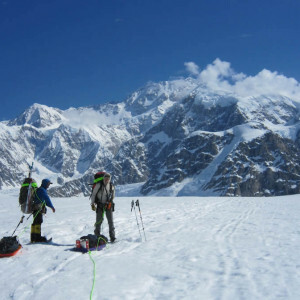 Are you thinking about climbing Denali and not sure if you are ready? Don’t be intimidated, it’s a big arctic mountain, but with the right preparation it’s an attainable goal! 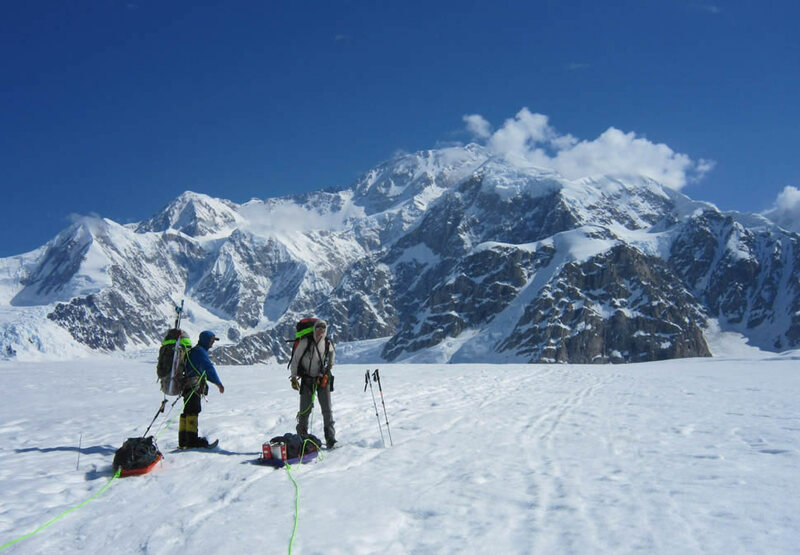 We realize it can be difficult to determine if you are ready to climb Denali, so we’ll try to give you some solid benchmarks and ideas of what you can do to be successful on a big climb. We are always happy to talk to you individually to help you develop a program and a plan to be ready. If you are willing to put in the work to prepare well, you will have a much more enjoyable experience when you do find yourself carrying a big backpack at high altitude, and you’ll have a much better chance of reaching the summit. One of the most rewarding aspects of guiding is working with climbers to develop long term goals and a plan to achieve them. Please don’t hesitate to contact us and let’s make a plan to achieve your goals! There are no shortcuts, but the journey is incredibly enjoyable and rewarding and you might learn something about yourself along the way. When we are talking to prospective climbers, we try to break the skill sets needed down into three categories and assess an individual climbers readiness in each of these different categories. The West Buttress route on Denali is NOT considered a technical climbing route, but it is a mountaineering route where you need to have what we consider basic climbing/mountaineering skills. These can be learned on just about any introduction to mountaineering course, which we offer through Mountain Trip in Alaska or Colorado, or you could take in many other places. Just because it is not a “technical” climb, don’t underestimate the challenge of the West Buttress and other mountaineering routes, you will be on steep terrain where your skills with crampons, and ice axe self arrest, etc. are important for the safety of you and your team. Ice Axe technique (self-belay, self-arrest) Know how to use your ice axe in self arrest and self belay grip. Crampon skills (French technique, front pointing, descending) You should practice putting your crampons on your boots that you’ll use on Denali including with your overboots if you will be using them. Be familiar with basic crampon technique French technique; Flat Foot (pied à plat), Duck Foot (pied en canard), Hybrid Technique (pied troisième). Crevasse rescue techniques We don’t expect climbers joining a guided team to be experts a performing crevasse rescues, as this is a pretty advanced skill. You should however be familiar with the techniques so you can help in case of a crevasse fall. Self-Rescue You should be understand how to ascend a rope using an ascender and a foot prusik. Team-Rescue You should be familiar with the concepts of team rescue including anchor building and hauling systems. Fixed Lines. You should be familiar with using an ascender on a fixed line, using a “cows tail” backup, and using an “arm wrap” as a self belay to descend a fixed line. Running Belays. We will often use a “running belay” where a rope team clips into intermediate anchors while traveling in exposed terrain. Understand how to pass an anchor as the middle person of a rope team. Rappelling. Although we don’t expect to need to rappel on the West Buttress route, this is a fundamental skill that you should be familiar with. Basic Climbing Knots/Hitches. There are just a few knots/hitches that you should be familiar with. All of these skills are taught in almost any 5-7 day introduction to mountaineering course, and will take you a long way in the mountains. You will need to put these skills to use, practice them, and have experience using them. We will review skills as necessary on a Denali expedition, your guides are also instructors and we plan to review skills along the way, but a Denali expedition isn’t the place to be learning these things for the first time! Guides Tip: Get your harness and climbing gear out and practice in the living room, or set up a rope at the local playground to practice ascending a rope! Even professional guides refresh their skills before a trip. Get these skills down, and they can take you a long way in the mountains! We will also be posting video’s and articles to discuss many of these topics. 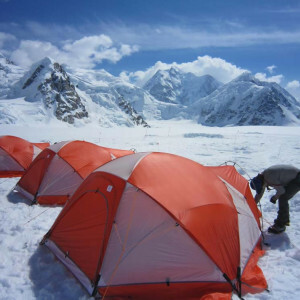 A huge part of the Denali expedition is the winter camping element, and the extended nature of this expedition. We schedule our West Buttress expeditions to include up to 22 days on the glacier, although most trips get back long before that, it is a long time to spend camping in the snow. We do some things to help make it comfortable and enjoyable, but much of the experience is the camp time. You should be ready to be camping in the snow or on a glacier, and have some experience doing it. We’ll help you with techniques to keep your boots dry (if not warm) and how and when to clear snow off of your tent when it’s piling up in a storm. At the same time, we understand that a Denali expedition is, for most people, going to be the longest expedition they’ve done, and will be a different environment than they’ve experienced in the past. That is all part of the unique and exciting elements of a Denali expedition that make it so special! Again, there are many places to get this experience, and it is generally a part of most introduction to mountaineering type courses. Mountain Trip offers these courses both in Alaska and in Colorado. 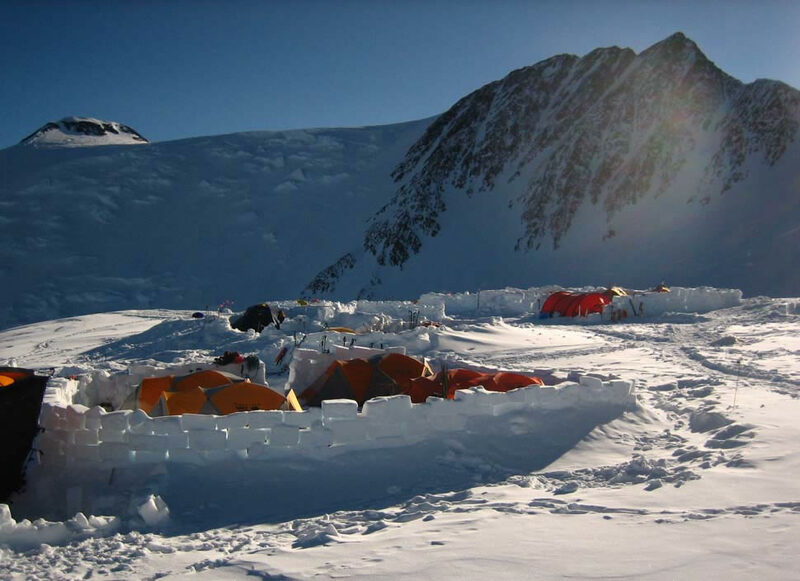 Other places where climbers generally gain this type of winter camping and mountaineering experience including; Mount Rainer, Mount Baker, Mount Shasta, Colorado 14’ers, White Mountains (NH), Himalayan climbs, Alps climbs. There are many ways to gain the expedition type of experience necessary to succeed in the Alaska Range, but Denali should not be your first multi-day winter climbing experience. 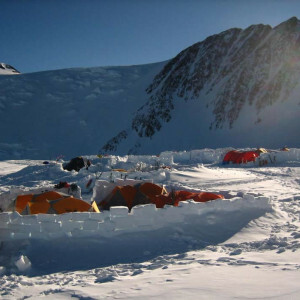 Climbers who have completed a good introduction to mountaineering course and then climbed Aconcagua are generally very well prepared to join a Denali team. You need to be in very good physical condition to climb Denali. Summit day shouldn’t be maxing out your strength and endurance, it should be well within your comfort zone. This is one thing that is within your control and can effect the success and safety of you and your fellow climbers. So many variables are out of our control (weather, etc.) that we really need to be sure we manage the ones that we can. Climbing big mountains is primarily an endurance event, but you do need strength as well. 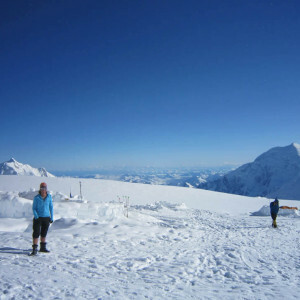 Experience on a couple of other mountains prior to going to Denali will also help you gauge where you are physically. Start now! Don’t expect to be able to train for just a few months and be ready to climb Denali unless you start at a pretty high level of fitness. Denali is one of the few expeditions that we offer where we can’t really provide “porter” support to lighten the loads. We often leave base camp with 50+ pound (22+ kilogram) packs, and drag almost as much in a sled behind us. You really need to be training with a pack this big as a part of your training regime so that your body can adapt to it, otherwise it can be crushing. Again, check out the training plans on Training Peaks to get a specific plan, but most importantly make a plan and stick to it as much as you can! 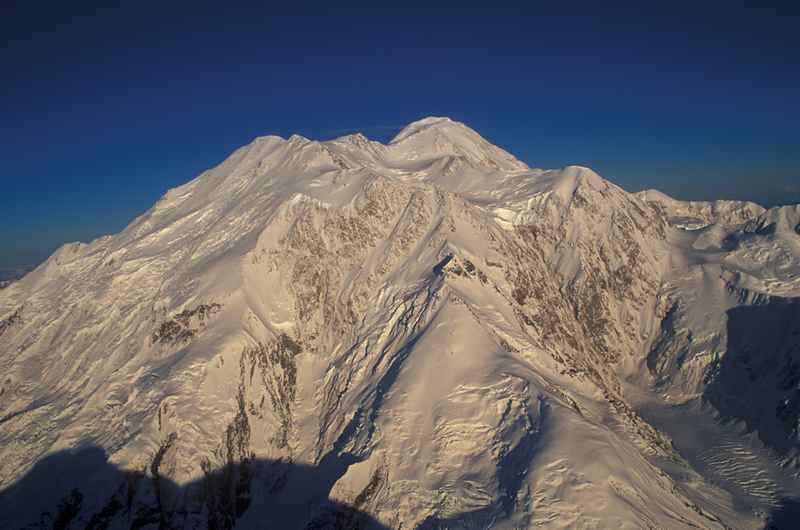 We’ll be posting several informational videos in the coming months, so look for links on the Climb Denali page. Finally, don’t forget that a good attitude and teamwork go a long way to having an experience that is enjoyable as well as successful! We love working with climbers and aspiring climbers to come up with a plan to reach their goals and maybe go further than they even dreamed possible. If you’d like to climb big mountains or come up with a dream please contact us! What is the difference between Mountain Trip Alaska and Mountain Trip International? Mountain Trip Inc. started guiding on Denali in 1976 under the trade name of Mountain Trip and was one of the original concession holders when the National Park Service began that permit process in 1981. Two longtime Mountain Trip guides, Bill Allen and Todd Rutledge, took over the reins of the company in 2004 under the corporate name Mountain Trip International, LLC. It was important to us to retain the same guides to work on the mountain and to continue the tradition of what Mountain Trip meant to us, namely the family feel of the company and an adherence to the high standards that we’d been taught over the previous decade. We even kept “The Man,” a logo hand drawn by Mountain Trip founder Gary Bocarde in the early 1980’s, because we wanted to honor the legacy of what Gary had developed. 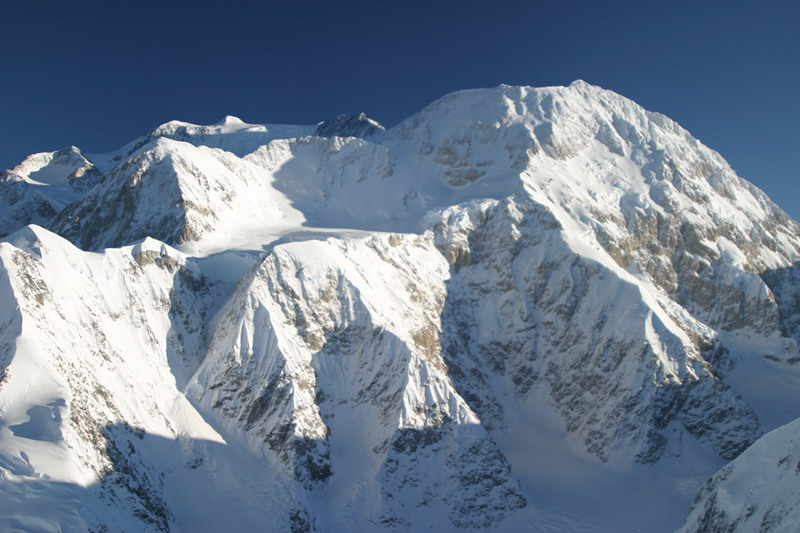 In 2017, the NPS issued a Prospectus for the next 10-year contract for guided mountaineering concessions on Denali. Mountain Trip Alaska, LLC was formed in response to that Prospectus, with long-time Mountain Trip guide Joe Butler as majority shareholder and Mountain Trip International, LLC as the minority shareholder. Mountain Trip Alaska won the biggest contract that the NPS offered and will be guiding climbers in Denali National Park and Preserve beginning in 2019. Mountain Trip International will act as the official booking agent for Mountain Trip Alaska’s Denali operations. Climbers will still have access to the institutional knowledge of the collective 40+ years of Mountain Trip history on Denali. The same guides will be helping climbers have great experiences on the mountain and the long tradition of Mountain Trip will continue under the newly formed Mountain Trip Alaska.